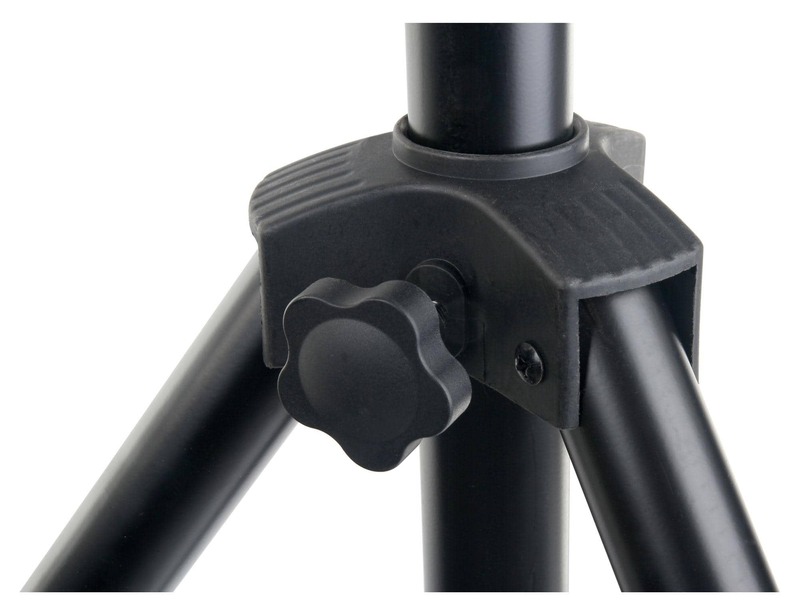 Sturdy truss system for light and effect equipment with 2 T-bar stands. 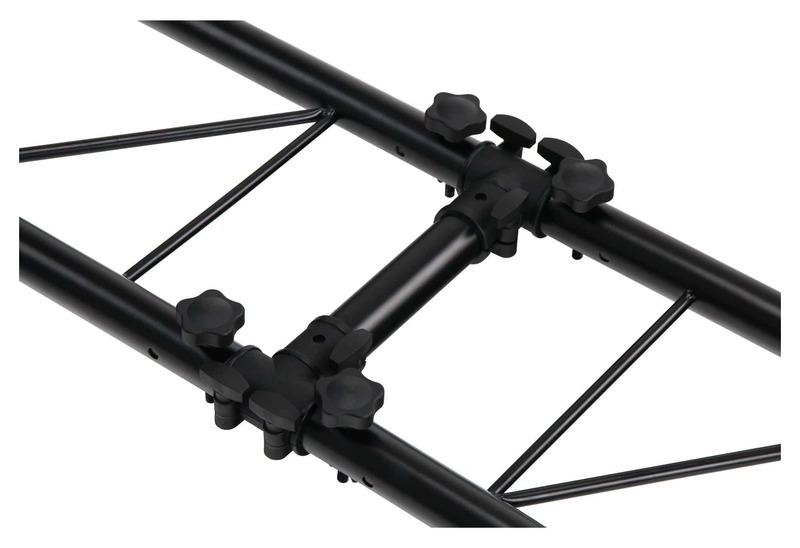 The Showlite LTS-100 truss system is the ideal choice for organizers and musicians, who are looking for a practical solution for the optimal positioning of lights and effects equipment. 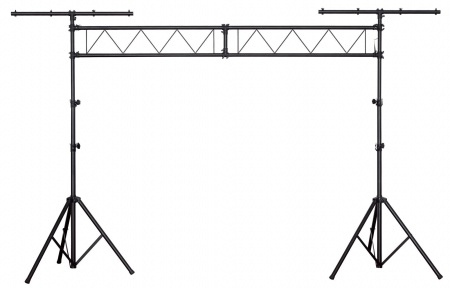 With a maximum width of 3 meters and a load capacity of 75 kg the truss-system offers plenty of space and loading capacity for elaborate lighting rigs. Through the possibility of height adjustment and 2 additional T-bar stands there is enough space for an armada of LED spotlights, lasers, scanners, moonflowers and fog machines. 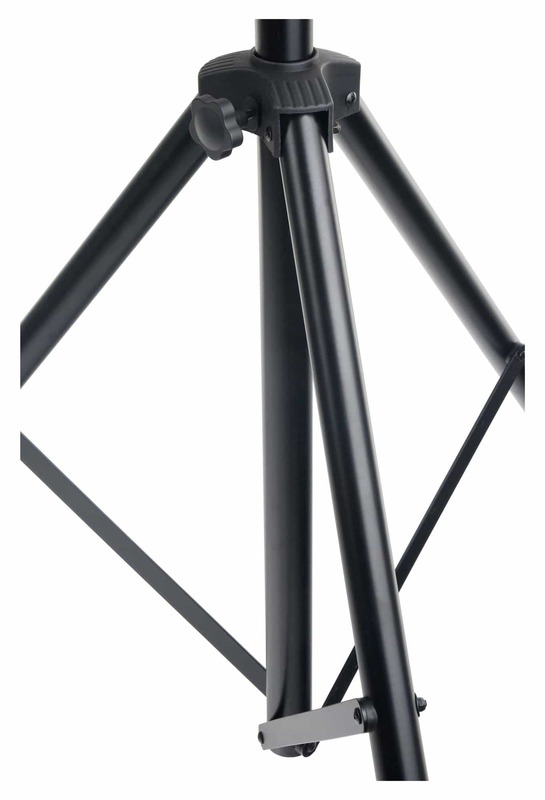 The possiblity to adjust the height from 1,50 m - 3,00 m equally guarantees the flexible use whether for small or large party spaces. 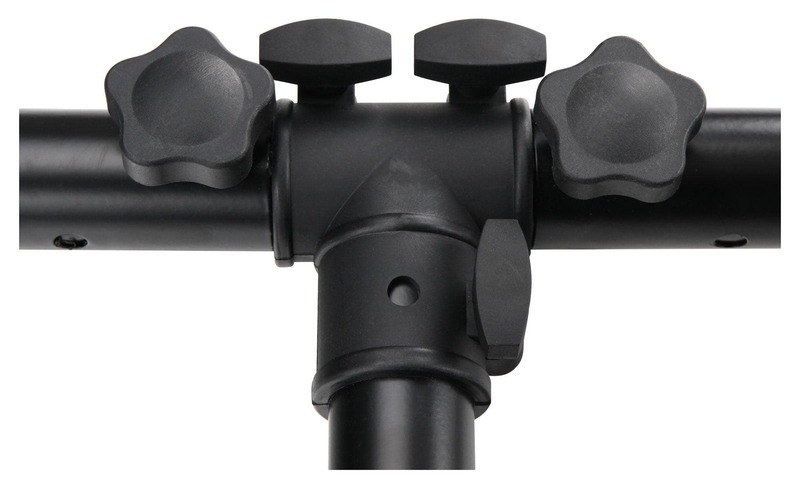 The field of application ranges from solo entertainers to DJs and bands who are looking for a complete system that can be quickly assembled and dismantled and on top of it is still lightweight and portable. 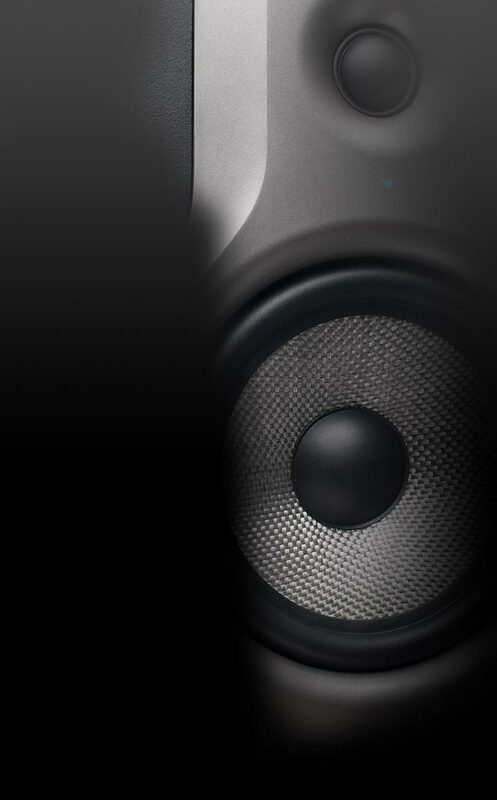 Nonetheless, Showlite has considered a price that's easy on the wallet.